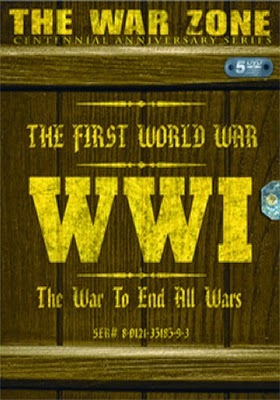 Eagle Rock Entertainment announced this past week a July 22 release date for a five-disc DVD collection titled The War Zone: Centennial Anniversary Series - The First World War: The War To End All Wars. The series will be released in a collectible tin box set and features over eight hours of archival footage from the period. There is some prime real estate in Hong Kong that is now ready for redevelopment, at least that’s the appearance of things after taking in the action of writer/director Alan Yuen’s Firestorm, which is coming to the DVD and Blu-ray market place courtesy of Well Go U.S.A. on Sept. 23. This mega-budget, all-star action flick stars Andy Lau (Infernal Affairs III, House of Flying Daggers, The Warlords, etc.) 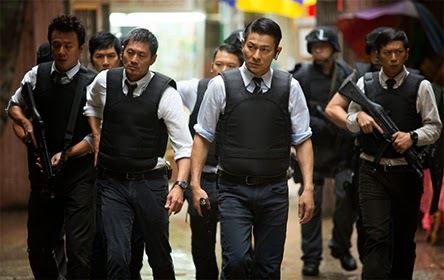 as Hong Kong-based Police Inspector Lui, who has his hand’s full (and perhaps outmatched) with Cao Nam (Jun Hu — as Zhao Yun in the Red Cliff sagas) and his gang of heavily armed and well-prepared stick-up artists. Explosive and elaborate set-pieces (an armored car robbery, buildings exploding, etc. 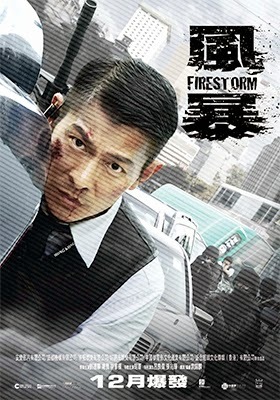 ), state-of-the-art technical specs and wall-to-wall action fit nicely with a plot that features Lau’s attempts to infiltrate Nam’s organization with Tou Sing Bong (Gordon Lam), a veteran criminal in his right, who may, or may not, have reasons of his own to bring Nam down … the question is, can he be trusted? 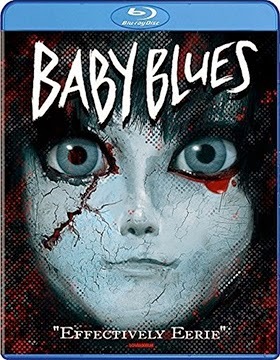 Also getting both a DVD and a Blu-ray release date this past week from Well Go U.S.A. is director Leong Po-Chih’s cursed house thriller, Baby Blues. The street date is Sept. 2. Newlyweds Tao (Raymond Lam) and Snowy (Sing Kwan Janelle) move into their new digs — an older house, remodeled — and discover what seems to be a gift left behind by the previous occupant. It is a doll, perhaps a collectible … of some value to be sure. What they don’t realize is that the seemingly innocent gift is actually possessed and as filmmaker Leong Po-Chih slowly ratchets up the tension as the two come face to face with the horror of the doll’s power … will they be its next victims!! Warner Home Video has tabbed Aug. 26 as the release date for director Frank Coraci’s romantic comedy reteaming Drew Barrymore with Adam Sandler for the third time. Titled Blended, it will be available as separate DVD and Blu-ray/DVD Combo Pack (with UltraViolet) SKUs. This late August street date yields a relatively quick-to-market ARR of 95 days. Ticket sales are currently posted at $44.2 million. Following the success of 50 First Dates (2004) and The Wedding Singer (1998), it was only natural that two would hook up for another comedy outing. 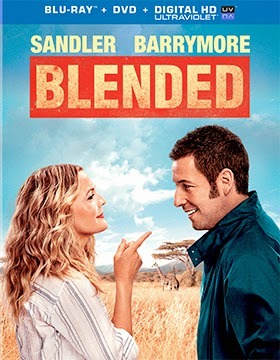 This time around the meet-cut relationship begins when Lauren (Barrymore), a divorcee with two children, going out on a blind date with Jim (Sandler)! It’s a disaster, but they have a chance meeting in the aftermath that sets things on the proper — although very zig-zagged — romantic course which eventually finds the two in Africa with all of their kids for what amounts to one very bizarre “family” vacation. 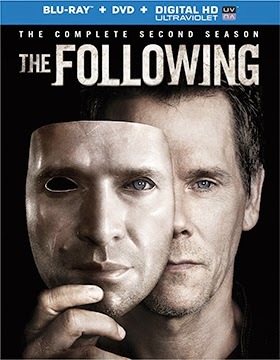 Also added to Warner’s release calendar this week is the Kevin Bacon hit serial killer series, The Following: The Complete Second Season. DVD and Blu-ray/DVD Combo Pack collections will be available for fans to savor on Oct. 7. 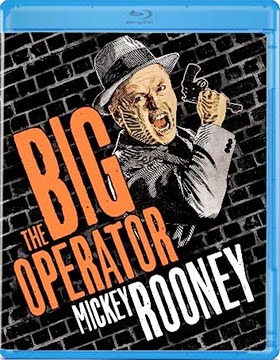 Olive Films announced this past week a group of post-Labor Day DVD and Blu-ray that includes director Charles F. Hass’ 1959 crime thriller starring the late Mickey Rooney, The Big Operator. Slated for delivery on Sept. 16, Rooney stars as a sadistic “union boss,” which is nothing more than a cover for his criminal enterprise. Steve Cochran and Mamie Van Doren co-star as husband and wife — he takes on the mob — while none other than Dennis the Menace (Jay North) plays their son. Other familiar faces in this overlooked film gem include Mel Tormé, Jim Backus, Jack Coogan, Ray Danton (The George Raft Story, The Beat Generation, etc.) and Vampira (who also appear with Danton, Cochran and Van Doren in The Beat Generation … of note, both The Big Operator and The Beat Generation were directed by Hass). Elsewhere on the September release calendar from Olive Films are Distant Drums and South of St. Louis (both available on DVD and Blu-ray on Sept. 23) and Betty Boop Essential Collection, Volume #4 (Sept. 30). 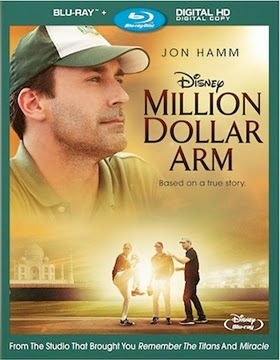 Walt Disney Studios Home Entertainment has tabbed Oct. 7 as the street for DVD and Blu-ray editions of director Craig Gillespie's Million Dollar Arm. This release date coincides with this year’s MLB post-season play (World Series has a tentative start of Oct. 22). The ARR comes in at a leisurely 144 days and domestic ticket sales were $35.4 million. 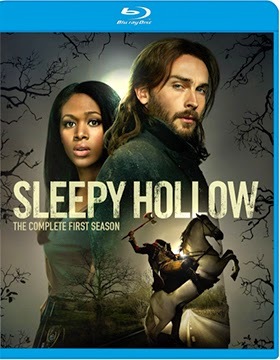 20th Century-Fox Home Entertainment has selected Sept. 23 as the street date for DVD and Blu-ray sets of the time-leaping mystery/detective series, Sleepy Hollow: The Complete First. Tom Mison (Salmon Fishing in the Yemen) stars as Washington Irving’s 18th Century school teacher (upgraded to professor), Ichabod Crane, who has magically been transported (along with the infamous Headless Horseman) to modern times. It is here, in the present day, that he teams with police lieutenant Mills (Nicole Beharie — 42, American Violet, etc.) to battle not only the Headless Horseman (who is far more sinister than Irving ever imagined), but forces of the occult as well! 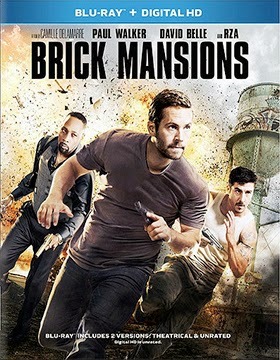 Also getting a post-Labor Day street date is director Camille Delamarre’s Brick Mansions (written by Luc Besson, who also wrote the original French-language version, District 13). This Paul Walker (which appears to be his final finished film) thriller will be available on Sept. 9 as both DVD and Blu-ray (with UltraViolet) product offerings. The ARR is 137 and the box office take currently stands at $20.4 million. The only bonus feature known at this time for Brick Mansions is that the Blu-ray SKU will feature both the PG-13 theatrical cut as well as an unrated viewing option. With Warner Bros. hitting it big with director Gareth Edwards’ Godzilla this summer, it comes as no surprise that ride-along promotions featuring the big guy and his cousins would be forthcoming. 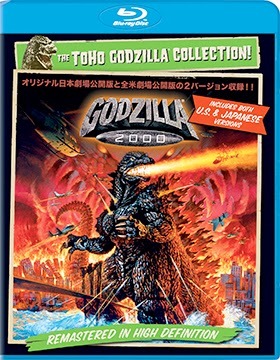 Such is the case with news from Sony Pictures Home Entertainment this week that Godzilla 2000 (both US and Japanese versions), Godzilla Double Feature (Godzilla, Mothra & King Ghidorah: Giant Monsters All-Out Attack teamed with Godzilla Against Mechagodzilla) and Mothra Trilogy (Rebirth of Mothra I, II and III) will all be hitting the Blu-ray market on Sept. 9. 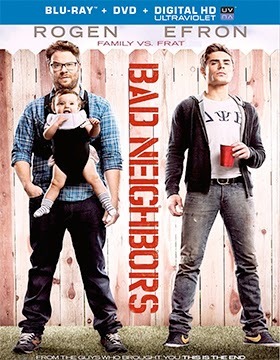 Director Nicholas Stoller’s suburban test-of-wills comedy, Neighbors, starring Seth Rogen, Zac Efron and Rose Byrne will be available from Universal Studios Home Entertainment as DVD and Blu-ray/DVD Combo Pack (with UltraViolet) product offerings on Sept. 23. The ARR for this summer comedy hit comes in at 137 days and ticket sales at the local multiplex were a very tasty $148 million.